Dan Nordeen | Financial Council, Inc.
Dan serves as the Director of Plan Creation for FCI. In his role, Dan develops and maintains comprehensive financial plans designed to assist clients in reaching their financial goals. Dan comes to us with more than 15 years of planning experience, including 13 years as a financial planner at T. Rowe Price. As such, Dan was responsible for the input, presentation, and execution of comprehensive financial plans for the firm's top clients. Additionally, he served on its equity team for two years of his tenure. 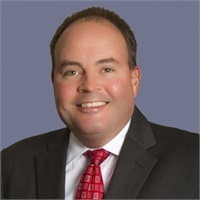 Dan earned a Bachelor of Arts in Economics from the University of Maryland, Baltimore County and a Graduate Certificate in Financial Planning from Stevenson University. Dan is a CERTIFIED FINANCIAL PLANNER™ Practitioner. He also holds FINRA Series 7, and 66 securities registrations as a Registered Representative and Investment Adviser Representative with Commonwealth Financial Network. On weekends, Dan enjoys tennis and occasionally takes part in local theater productions.